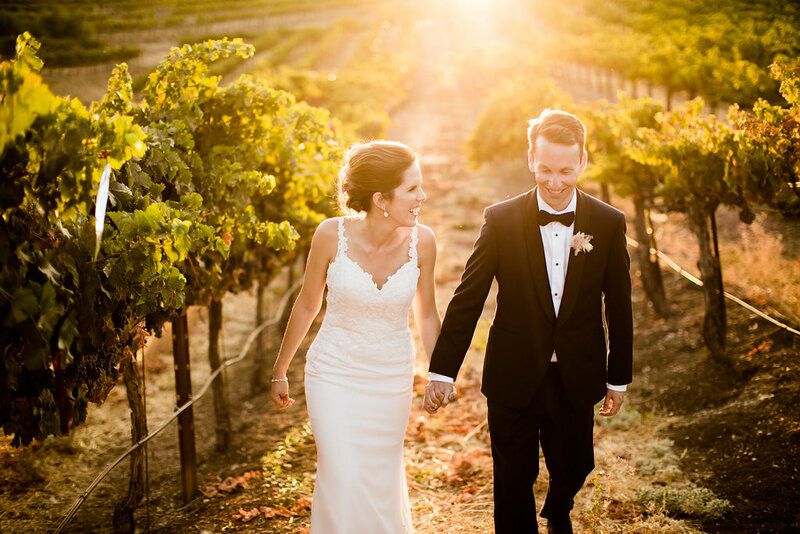 Terra Mia, a Paso Robles wedding venue surrounded by vineyards, olive orchards, and a lovely lake, exudes an elegant and chic style. 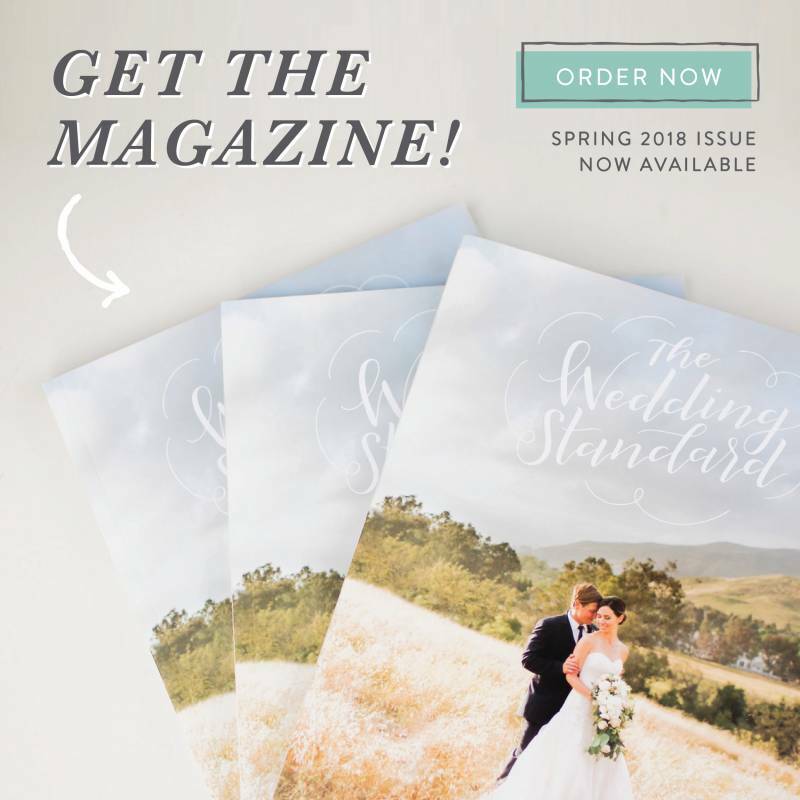 From the classy design and simple color palette with inspiration from Provence, France, coordination by Danae Grace Events, florals by the talented Adornments Flowers and Finery, catering by Field To Table, and photography by Tayler Enerle Photography...this day was nothing short of amazing! Lindsay and Steve met on a dating app in August 2014. With dating apps, you can adjust the settings to only show you matches within a certain radius of where you live. 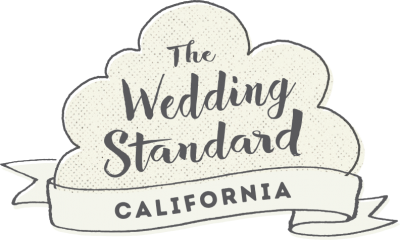 Steve had his set for only San Francisco and Lindsay was living in Redwood City. To this day, they still don't know how Hinge set them as a match, but think it must have been fate ;). Their first date took place at a miniature golf course called Urban Putt in San Francisco. Within one week, Lindsay decided to move up to the city and found an apartment close to Steve. Just two months after they met, Steve was offered another job in Los Angeles and they decided to do the long distance. Between the two of them, they moved a total of 10 times between the Bay Area and Los Angeles. Steve proposed to Lindsay in Carmel on the beach Memorial Day weekend. 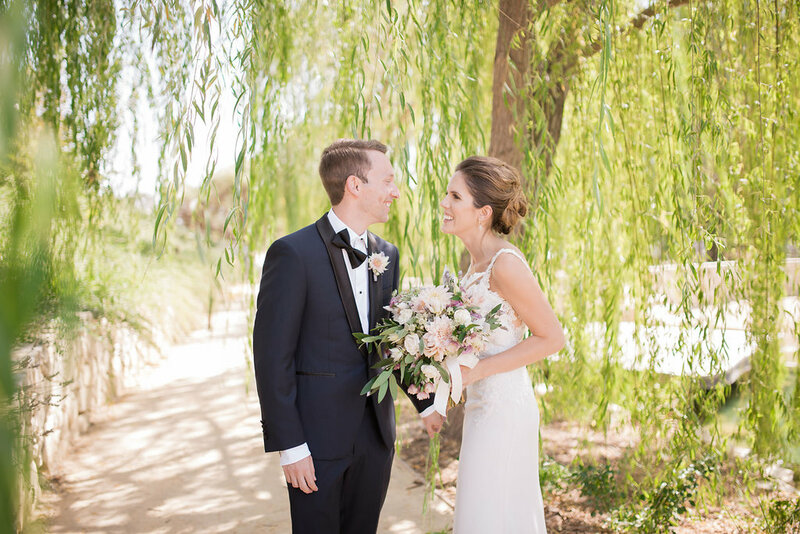 Lindsay lived in the south of France for two years and their wedding was inspired by Provence in France. Being thrown up in chairs with all of our guests dancing around us and having a (semi) private moment up in the vineyards at sunset. We loved our lounges through Scout Rental Co and also our "Adventure Awaits" globe and suitcases on our welcome table - we're huge travelers! Danae Grace Events - the day was perfect and incredibly organized. Everything went off without a hitch and looked incredible. We also loved our DJs - Dart DJs. They do mashups of oldies and top hits. It was designed to get everybody on the dance floor with no real slow downs and no one wanted to stop dancing at the end of the night! The most beautiful desserts by Paper Cake Events! 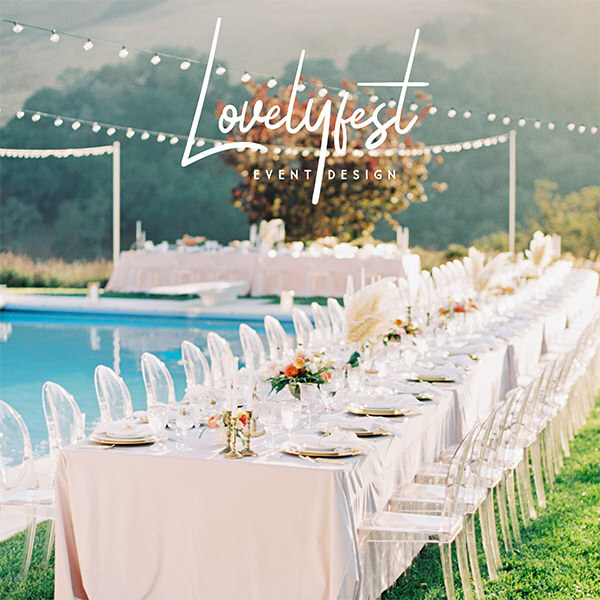 Take a moment during the wedding to soak it all in - the day and evening fly by. Also, don't stress over the little details - no one will notice them in the end. If you have a great time even if little things don't go perfectly, everyone else will have a great time too.